You can use your earned store rewards on almost anything. 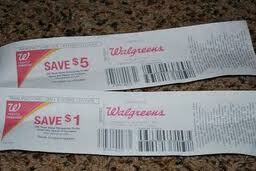 Today I used $5 worth of Walgreens Register Rewards (RR) to purchase extra copies of the Sunday newspaper. While that is fine, I didn't earn any new RRs as a result of this purchase. "Rolling your rewards" is the concept of earning store rewards, and then using them on a future transaction where you earn more rewards. This is an excellent way to reduce the amount of out-of-pocket (OOP) cash you need to spend. For example: Recently I bought 4 boxes of cereal at Walgreens. My pre-coupon total came to $10. I used $2 worth of manufacturer coupons and $6 of rewards earned in a previous transaction, bringing my OOP to only $2. Walgreens was running a reward promotion to get a $5 reward when you bought 4 boxes of cereal. So I received a $5 reward with my receipt. My OOP cost was only $2. I used $6 of rewards, but received $5 to use next time. My Free Deal of The Day: Colgate 4.6oz - FREE at Kroger!